Combine the first 9 ingredients in a large bowl. Cover and let stand at room temperature for 2 hours. Remove the beef cubes from the marinade, pat dry, and put aside. Reserve the marinade. Cook the bacon in a large, heavy-based pot over medium-low heat until the fat is rendered, about 5 minutes. Add the chopped onion and chopped garlic. Sauté until the onion is translucent, about 6 minutes. Using a slotted spoon, transfer to a large bowl. Heat the oil in the same pot over high heat. Sprinkle the beef cubes with salt and pepper. Working in batches, add the beef cubes to the pot until they start to brown, about 5 minutes per batch. Transfer to the bowl with the bacon and onion mixture. Remove from the heat. Remove the carrots, quartered onion, herb sprigs, bay leaves, and orange peel, and discard. Spoon the fat off the top of the daube. Taste to see if it needs any salt and pepper. Reheat gently before transferring to a warmed serving dish. Sprinkle with the chopped parsley and serve with cooked noodles of your choice. The word daube comes from daubière, a covered casserole. 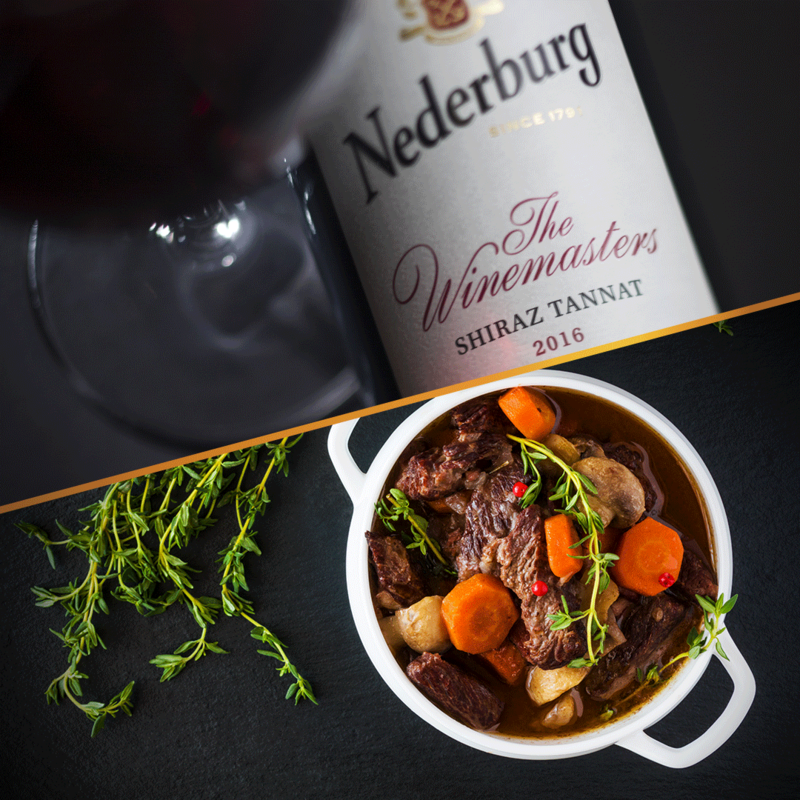 Almost every region of France has its own daube. 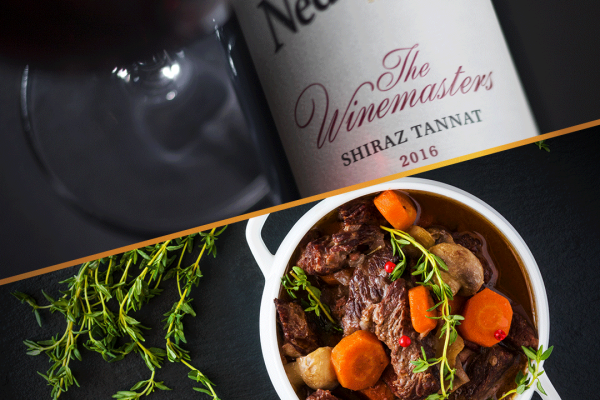 This one from the Languedoc-Roussillon region is a savoury, country-style daube, an informal main course that would be brilliantly paired with the Shiraz from the Nederburg Winemasters range.